Sierra Leone is located in West Africa and shares borders with Liberia in the south west and Guinea from north east to the north west. Mount Bintumani in the Loma mountains, has a height of 1946m whilst the second highest Sankan Briwa in the Tingi Hills attains 1715m. A mean annual rainfall of 3000-5000mm common along the Atlantic coast decreases to 2000 mm on the northern border. The dry season runs from about November to about April-May and the rainy season from about May to October with regional variations between the drier north and the moister east, south and western regions. The dry season is a little longer in the north. Current population hovers around 5 million increasing at the rate of 2.7% per annum giving a population density of about 58 persons/km² standing on an area of 72,000 km². Access to clean drinking water was limited to only 57% of population in 2004; life expectancy at birth in 2006 was 41 and 57% of population below the poverty line defined as earning less than 1USD per day. The Forestry Department (now a division of the Agriculture ministry) was established in 1911 to address the then land degradation problems identified from two separate but related investigations on land use. Other sub-sections of the now Ministry of Agriculture Forestry and Food Sector are: Crops, Livestock. Land and water Development and Projects Evaluation Monitoring and Statistics Divisions. The Forestry Division promotes sustainable forest management through the concept of “wise use” of the country’s natural resources. It comprises of the Wildlife Conservation, Forest Conservation Research Branch (silviculture) and the now privatized Rubber Development Branches. The Forest Conservation branch is the largest of the remaining three. The Division has carefully and consistently followed the Decentralization process since the release of the Decentralization Act (2004). Major Divisional activities include soil, energy, water and energy conservation in addition to forest replenishment, maintenance, harvest regulation, product processing, value addition product sales etc. Public sensitization and awareness raising on the ills of deforestation and the wisdom in resources conservation are major public relation drives. These drives target the main deforestation drivers which need to be contained through man’s livelihood support activities. The FD is poorly staffed with 15 professionals, 7 sub-professionals and 6 technical staff in 1990, manning 46 forest reserves at different locations nation-wide. The situation has surely worsened due to funding constraints, staff attrition, retirements, deaths etc. Currently, there are around 50% vacancies in all cadres for professionals, sub professionals and technical positions. The Wildlife Conservation Branch had filled only 49 vacant posts out of 93 by 1990. Salaries are incredibly low and logistical support for forest management is unreasonably low compared to the numerous challenges, the Division is facing. Only a small number of staff have been trained over the last 10 years due to funding constraints. There is an on-and-off moratorium on staff recruitment, coupled with very low wages which prevents even sympathizers from helping with their expertise. 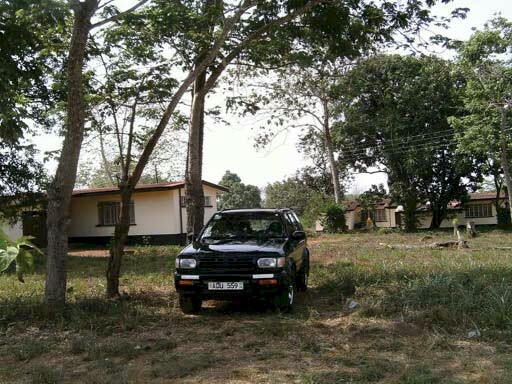 The Forest Research and Training Center, then located at Bambawo in the eastern province, was closed in 1995 due to the negative war impacts on infrastructure, staff and operations. Forest research is now combined with Tree Crop research under one station out of 8, thereby diluting the output of forest research which was a full-fledged institution covering the whole country, before the war. Forest policy and legislative reviews over the past 7 decades had been necessitated by efforts to address some of the drivers of deforestation: the increasing demand for firewood, charcoal and construction poles to satisfy the demand for these products from refugees and internally displaces persons; conflicting activities and policies of other sectors of the economy; the need to put in place more realistic fines and jail terms for defaulters against the forest law etc. Also, changes in the physical location of sector in different ministries, attempts to decentralize the sector and especially the negative impacts of agricultural policies on the development of the sector had necessitated reviews. One major by-product of the war is the introduction of individually operated power saws, which operations are often restricted to remote areas where they are difficult to police due to their mobile and underground operations. Major policy reviews were documented in 1998, 2007 and lately 2010. The most recent reviews now consider the introduction of a chain of custody for timber, introduction of annual lease rent payment irrespective of revenue generation from forest estates and other protected areas etc. Convention on the Conservation of Biodiversity; UN Frame work Convention on Climate Change; Convention on International Trade in Endangered Species; UN convention to Combat Decertification; Convention covering World Cultural Heritage; African Convention on Nature and Natural Resources; Coastal Environment for West Central Africa Region etc. Sierra Leone responded to the FAO call to celebrate World Forestry Day in March 1985 by the inauguration of an annual National Tree Planting Day that year and the programme has resulted in the planting of millions of trees to date. 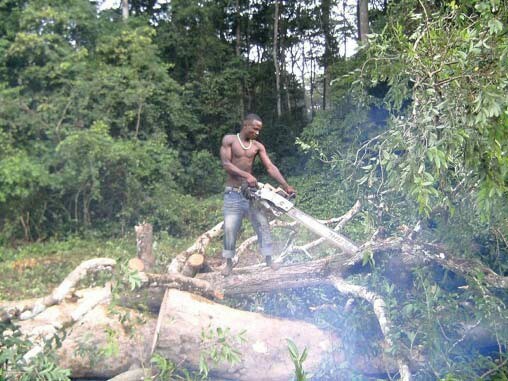 However the trees have suffered from the effects of annual wild fires; real estate development; war-related urbanization pressure; lack of incentives for maintenance; need for firewood, charcoal and poles especially in urban environments where the demand for them is high owing high populations resulting and scarcity of the resource. There is a need for the development of an incentive scheme for tree planting and especially growing up to a certain age when it is unlikely to die. This will be cost effective because the tree planters will ensure the survival of those trees for want of compensation money. Sierra Leone was once a well forested country, but the closed forest cover has been reduced from about 70% of the total land area in about 7 decades period to only 5% of land area in 1990. It is even lesser today assuming a deforestation rate of about 1% which had increased the forest re-growth type to 3,774,000ha our of 6,305,000 ha of total area of all types of forests in the country in 1990. Major causes of deforestation are anthropogenic including shifting cultivation, wild fires, mining of minerals, stone and sand mining (war-induced) etc. Logging for timber, firewood harvest for sustenance and utilization and for charcoal burning, and pole harvest etc continue to fuel deforestation. Of all the annual round-wood removals nationally about 95% goes for firewood and charcoal; 3% for construction poles and 2% for timber, but post war rehabilitation efforts have clearly changed the trend for the worst because of increased pressure on construction poles mostly of Anosophyllea laurina. There are the very few significant natural causes of deforestation in the country due to the absence of landslides, volcanic eruptions, hurricanes etc. While the national forest estate occupies under 5% of the total land area, most other forest lands are on communally owned lands, hence the urgent need for the introduction of a community forestry programme to protect those forests in addition to the government-managed forest estates. Forest inventories are very rate, infrequent and mostly incomplete due to funding, technical and logistical constraints. Due to their very high costs development projects shy away from undertaken them as it could starve other project objectives. The last significant inventory was in 1979 covering only parts of her 750,000ha. Gola Forests, bordering the Gola National Forests in Liberia. Despite the small number of merchantable timber species, the rate of deforestation is high because the many non merchantable tree species are destroyed in collateral damage during logging operations. There is a need to increase the current list of merchantable timber species in order to increase the timber value of our production forests. There is high pressure on the small production forest area. For instance, by early 2010, about 8 sawmilling companies were successful in obtaining licenses for logging in 5 different locations in the country albeit covering relatively small forest areas. The national firewood demand was estimated at 2.3 to 2.9 million M³ in the early 90s but the high population growth rate of 2.7% per annum may have significantly changed these figures. Also, the per caput construction pole demand of 2.1% at the same time may have changed especially during the post-war rehabilitation period (2000-2004) which relied heavily on construction poles used as pegs, ladders, scaffolds in concreting etc. Despite the current low forest cover, a few evergreen and semi-deciduous forests and heavily wooded savanna woodland estates stand a chance for qualifying from carbon trade due to security of tenure, current sustainable management practices, supportive policy measures, success of benefit sharing practices etc. Also, cash crop plantations occupying about 58,000 ha. of mostly coffee and coffee have a potential for the carbon trade in their own right and because of shade trees which are often retained in these plantations. The 750,000 ha. Gola Forest Complex has been managed under a conservation concession programme since 2004 and was relatively well-managed from 1990 to 2004. This forest complex is part of the Gola National Forests (Liberia) Peace Park conservation corridor between Sierra Leone and Liberia inaugurated in 2009. Gola Forests (Sierra Leone) is now Sierra Leone’s second national park after the 1109 km² Outamba Kilimi National Park (OKNP). Both forests can be described as moist semi-deciduous lowland forests with high species diversity and endemism typical of most of the Upper Guinea Forest Block. Large mammals include, elephants, bongo, buffalos, hippopotamus and a variety of primate including the Chimpanzees. Also, there are duikers and many reptiles bird species which are typical inhabitants of these forests which provide ideal habitats for them. The OKNP is located in northern Sierra Leone, bordering the Republic of Guinea with a diverse vegetation type as it lies in the transition zone between the Guinea highlands savannahs to the north and remnants of the lowland tropical forests to the south. The Park comprises of two segments Outamba (741km²) and Kilimi (369 km²) and Kilimi (368 km²) but separated by a 25km wide buffer zone along the road. The flatter and drier Kilimi section is covered with short dry savannahs and open woodlands. Others with potential for carbon trade include the Western Area Peninsula Forest reserves (17,600 ha) Tama Tonkoli in the North central region (50,300 ha.) Kambui Hills in the east (23,000 ha.) etc. Non timber forest products play a key role in sustenance and livelihood support for rural communities; provision of construction materials; handicrafts; support in food security and healthcare delivery; sources of proteins and essential vitamins, gums and resins, wrapping materials, beverages etc. The conservation of these resources could make a good entry point to the introduction of community forest management because the communities have vested interest in these products. Since the majority of forests lie on communal lands, only the introduction of community forestry practices can effectively stall deforestation, especially in areas where communities realize substantial benefits from forest and other natural resources management. Recent efforts at the attainment of some semi-autonomy for the FD completely excluded the serving Government Forestry staff but instead defined very attractive conditions of service for only the Commissioner and his Executive Secretary of the proposed Forestry and Environment Commission. Despite it’s good intentions and purposes, the internal resistance and the many grey areas in the draft policy document quickly necessitated a reversal of the poorly planned process resulting in a quick return to the original position probably to the satisfaction of permanent staff who were frightened by this unplanned and biased development. The FD is still a marginalized sub-sector of the Ministry of Agriculture, Forestry and Food Security. This Sierra Leone forest sector is under-funded , marginalized and located in a Ministry with heavy bias towards food security despite it’s negative impact on the environment in general and to the forest sector in particular. The role of forests in enhancing food production is mostly unrecognized despite the obvious impacts of climate change on our agricultural productivity. A well planned and well studied commission status like in UK, Ghana and Zimbabwe should upgrade this sector once staff welfare and logistics for forest management are seriously addressed in order to the fully realize the potential of the sub-sector. Law enforcement and the harmonization of government policies and legislations on land use will help enhance forestry development in Sierra Leone.